Time tracking data can be displayed in task lists to see progress at a glance. You can display or hide time spent and time planned data for each task by clicking on the time tracking icon when hovering over a task in task lists. 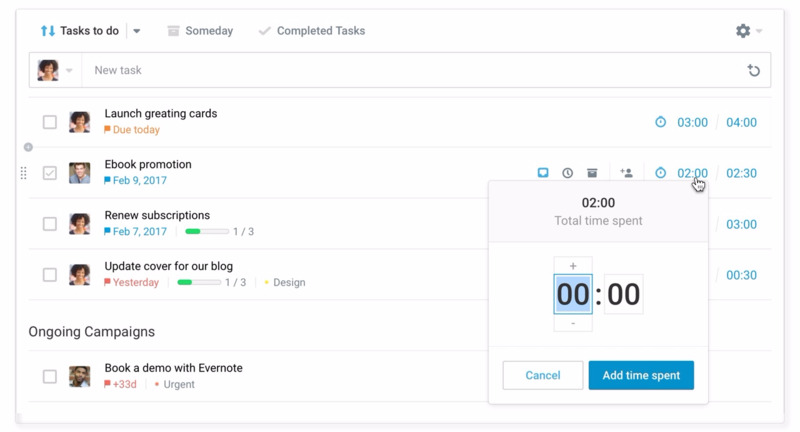 On top of that, when time tracking is displayed, you can add time spent entries and edit your time planned on tasks directly from the task lists. Next, take a look at your subjects time tracking analytics to gain valuable insights.